Today, the official student publication of UPHSD hosted a journalism seminar called Erratum. It’s our first, but we’re hoping for it to become an annual thing like other seminars by student publications. We managed to pull everything off in three days and got through it despite a lot of technical difficulties. Our main problem was the venue, which was the barely-used and dilapidated looking auditorium of the high school department. Because of the short notice, only a few participants came but the event itself was a huge success. We invited John Nery, Mike Abasolo, Rick Olivares, and Charie Villa. 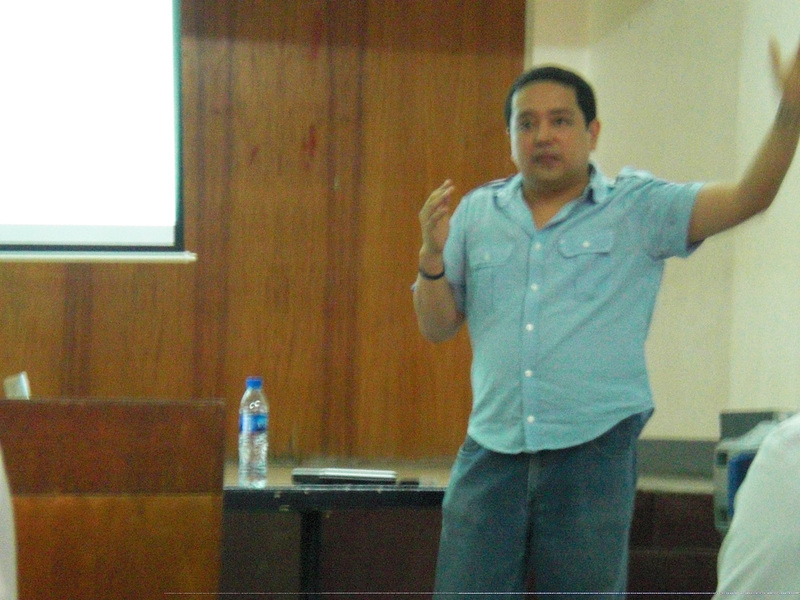 Our first speaker was Rick Olivares, a columnist for Business Mirror who also teaches journalism at ADMU. He talked about new media and he was so brilliant that he inspired me to take blogging seriously. He gave a lot of practical tips like to have a category to invite a certain demographic. He also advised bloggers to put substance in posts and to always bring a camera, because you never know when you might need it. He was such a nice guy that he invited me to attend one of his journalism classes in Ateneo. I personally walked him back to his ride after the seminar and he praised our paper and said that it’s a lot better than a certain school publication. To give you a clue: the name of the publication is mentioned somewhere on this post. 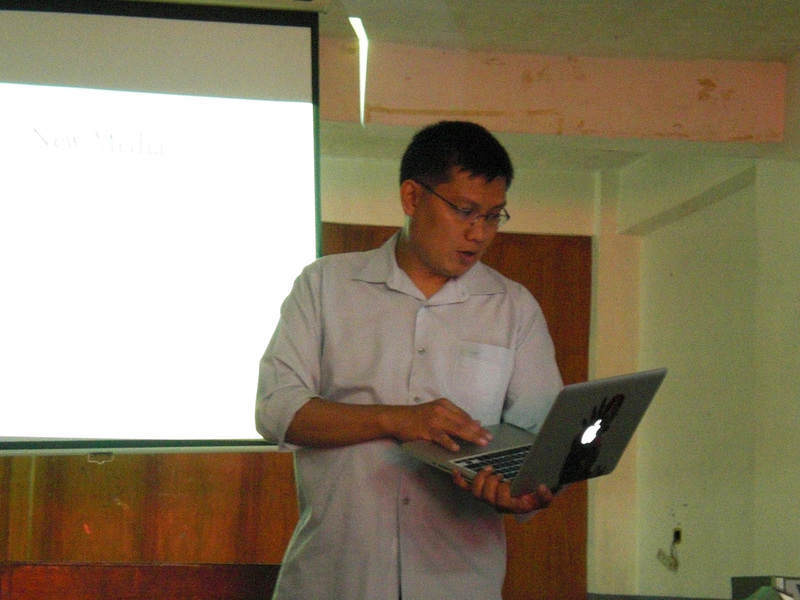 Our next speaker was Mike Abasolo, a sportswriter for Inboundpass, a website that covers Philippine college basketball. He talked about sports writing, which I wasn’t really interested in because I’m not an athlete (I gave up soccer and swimming years ago to focus on yoga) but he was such an animated talker that I still enjoyed listening to him. However, he lost some of his enthusiasm when I asked him about envelopmental journalism (when private individuals or groups would pay a writer to write something in his favor) in sports journalism. He was standing the whole time but he sat down to answer this. I’m not sure if I did the right thing. Our third speaker was Charie Villa, who I was really looking forward to listen to. 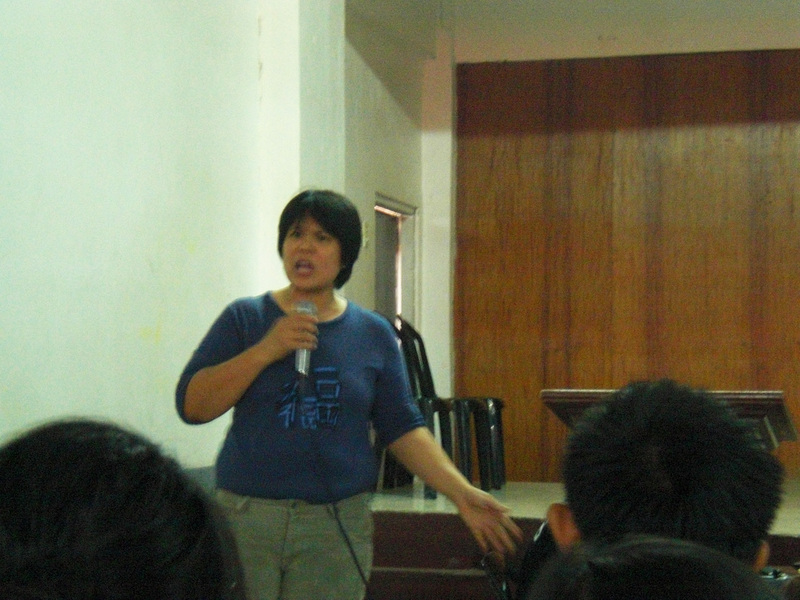 I listened to her talk at 2009’s Inkblots, the annual journalism seminar hosted by UST’s The Varsitarian. She was so amazing that I didn’t have second thoughts about inviting her. She was supposed to speak about news writing but she mentioned a lot of stuff about new media, which was just as inspiring. She was late so she only spoke for an hour and everyone was disappointed because they wanted to hear her talk some more. I escorted her to the auditorium and I was starstruck the entire time – it was like meeting Madonna or the Queen. She praised our school, saying that it looked nice (Rick Olivares said the same thing). 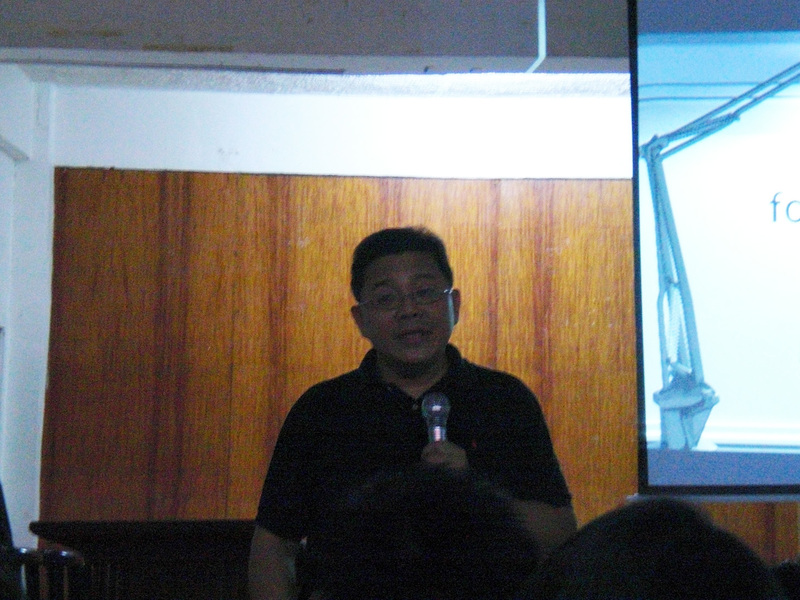 Our last speaker for the day was John Nery, a columnist for the Philippine Daily Inquirer. He was sent as a replacement for Letty Magsanoc, the editor-in-chief who had to cancel because she was going to Japan (the same thing for Maria Ressa, who also had to go out – Singapore, I think). I heard him talk at 2008’s Pressplay, the joint journalism seminar hosted by DLSU’s The Lasallian and ADMU’s The Guidon. He spoke about opinion and feature writing. He was very interesting and shared a lot of insider stuff about the Inquirer, like how most libel charges are because of columns. On his way out, he mentioned how most of us spoke good English. I was floored. Erratum was a huge success. The program had its fair share of kinks but the content was fantastic. Everyone enjoyed and all the blood, sweat, and tears (literally) were worth it for this kind of event. I challenged the staff to bring a more impressive cast of speakers next year and they promised to bring Ces Drilon and Maria Ressa. They even said they would invite me if I get a job at Preview after graduation. Note: The pictures are of poor quality because I didn’t want to use the flash function on my digital camera. Sorry. Note: We chose Erratum because it signified change – we wanted to be humble and to be open to correction. Charie Villa and John Nery liked the concept. Note: This event is the defining moment of my student journalist life.